Pancontinental Resources Corporation (“Pancon”) (TSXV:PUC) (“Pancon” or the “Company”) announced today it has entered into a binding letter of intent (“LOI”) with Pelangio Exploration Inc. (TSXV: PX) to acquire up to a 75% interest in the Strachan Project, covering 2,280 hectares within the Montcalm Greenstone Belt, 65 kilometres northwest of Timmins, Ontario. Pancontinental Resources Corporation (“Pancon”) (TSXV:PUC) (“Pancon” or the “Company”) announced today it has entered into a binding letter of intent (“LOI”) with Pelangio Exploration Inc. (TSXV: PX) to acquire up to a 75% interest in the Strachan Project, covering 2,280 hectares within the Montcalm Greenstone Belt, 65 kilometres northwest of Timmins, Ontario. 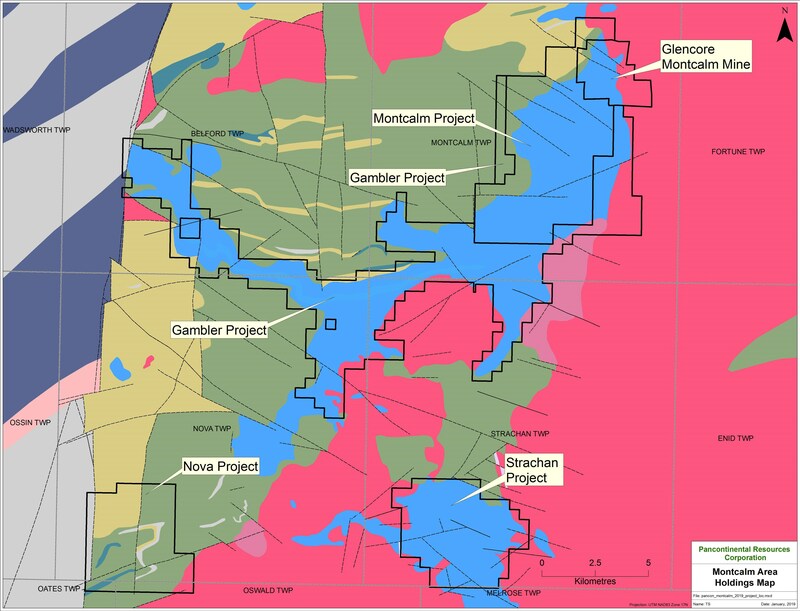 Strachan is Pancon’s fourth early stage Ni-Co-Cu exploration project in the emerging Montcalm battery and energy metals district, and it consolidates Pancon’s control over most of the highly prospective gabbro intrusives across 15,760 hectares. By completing this form, you are giving consent to receive communication from Pancontinental Resources Corp. using the contact information you provide. And remember you can unsubscribe at any time. Click here to connect with Pancontinental Resources Corporation (“Pancon”) (TSXV:PUC) for an Investor Presentation.